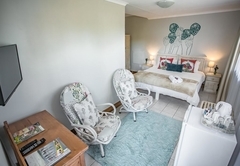 Bella Manga Country Escape is a 3 star graded guest house offering Plettenberg Bay accommodation in 12 guest rooms. 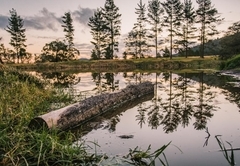 Conveniently located just 15 minutes from Plettenberg Bay, Bella Manga is a country retreat and bush getaway boasting an abundance of bird and wildlife. 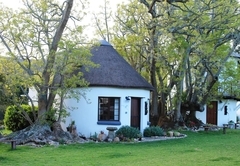 Accommodation is offered on both a self catering and bed and breakfast basis. 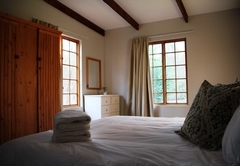 Room facilities include wall heaters, a small fridge, tea / coffee making facilities and a hairdryer. 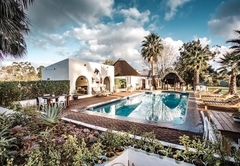 The establishment has a swimming pool, Jacuzzi, guest lounge with DStv, braai facilities and Wi-Fi. 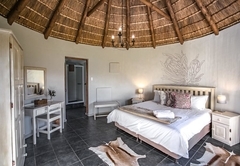 This thatched rondavel has a King-size bed and en-suite bathroom with a power shower. 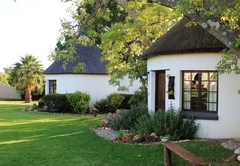 The large thatched rondavel is furnished with a King-size bed and single beds. 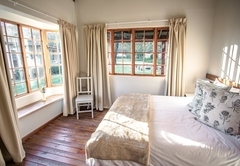 The restored farm building has a one bedroom suite comprised of a sitting room and kitchenette. 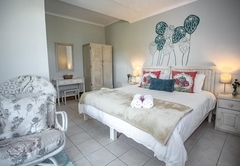 It has an en-suite bathroom and terrace with braai facilities. 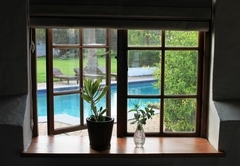 These light and airy rooms are situated close to the swimming pool. They have an en-suite bathroom with bath and power shower. 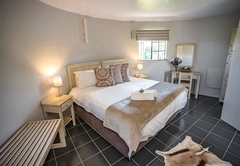 The suite has a King-size or twin beds and an en-suite bathroom. 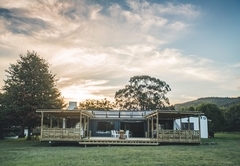 There is a sitting area, kitchenette and braai facilities. 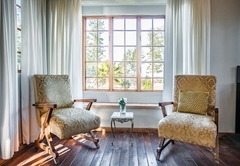 The suite has access to a large terrace. 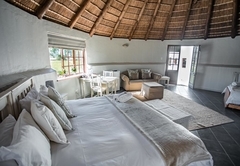 These rooms are situated in the converted grain silo. 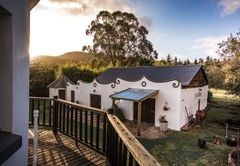 Each has its own entrance and en-suite bathroom. 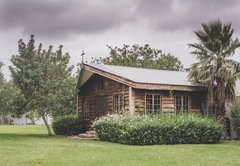 The wooden lodge has two bedrooms, two bathrooms (one en-suite), a lounge and a kitchen area with a fireplace. 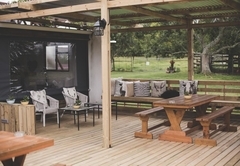 There is a large wooden deck with braai facilities. 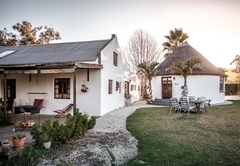 This two bedroom lodge has braai facilities and a large stoep. 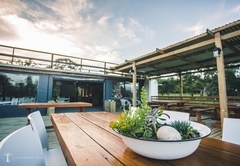 There is also a kitchen, dining room, sitting room and communal african fire pit. 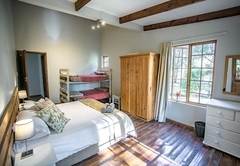 The lodge has three bedrooms (with two bunks in the main room) and an en-suite bathroom. 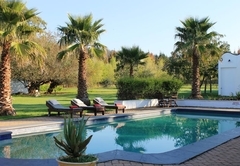 There is a braai area and swimming pool. 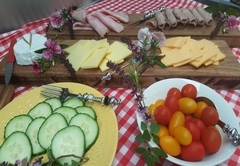 We offer a unique breakfast picnic basket as well as home cooked farm style evening meals on request. 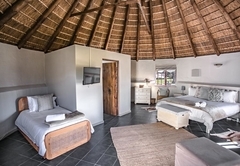 A heated thatched rondavel (round house) in typical African style, king/twin, en-suite power-shower, tea/coffee making facilities and hairdryer. 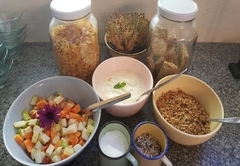 A truly African experience. 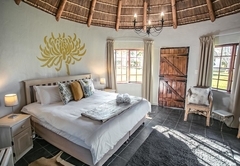 Large en-suite thatched rondavel in typical African style with king and single. Tea/coffee making facilities, panel heater, hairdryer. Suit 3 adults or 2 adults 2 kids. 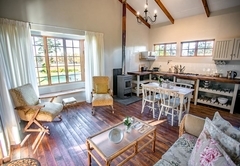 This restored farm building is a one bed suite comprising of sitting room/kitchenette. En-suite bathroom. 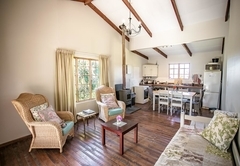 Large terrace with own braai facilties. 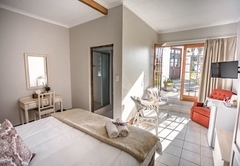 Light and airy heated rooms. 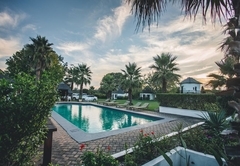 They are situated in close proximity to the swimming pool, tea / coffee making facilities and a hairdryer in room. En-suite bath/power shower. 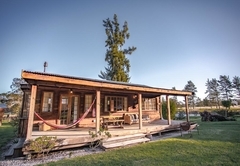 This restored farm building comprises of sitting room/kitchenette. King / twin beds. En-suite power-shower. 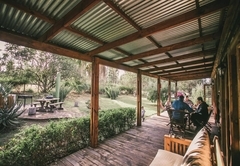 Large terrace with braai facilities. 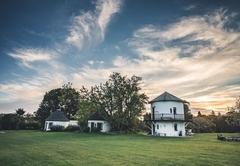 Two rooms set in a converted grain silo. Room are set up and down stairs from each other, each with it own entrance. Ideal for families with older kids. 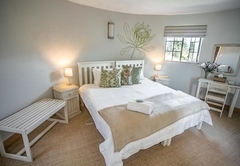 En-suite bathroom with a shower, fridge and tea / coffee making facilities. 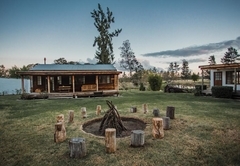 Set in tranquil retreat & overlooking the forest this s/c wooden lodge has two bedrooms, 2 bathrooms (1 en-suite) lounge and kitchen area with a fireplace. 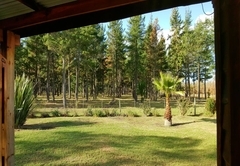 Large wooden deck.Braai facilities. African fire-pit. 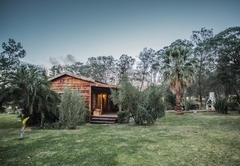 Set in a tranquil retreat this 2 bed en-suite lodge has braai facilities and large stoep, kitchen, dining room, sitting room, communal African fire-pit in the grounds. 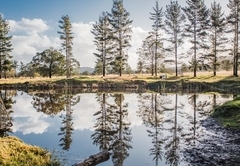 Spacious s/c three-bedroomed (2 bunks in main room) en-suite wooden cabin set in country retreat overlooking the forest with communal fire pit, braai area and swimming pool. Response timeBella Manga Country Escape typically responds to requests in 5-10 minutes.